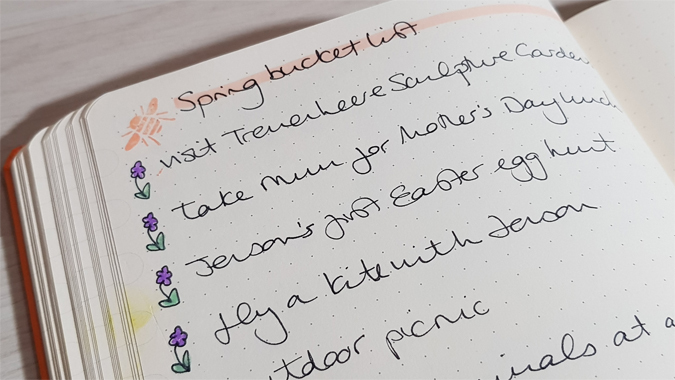 I like to keep my bullet journal super minimal these days and completely take the pressure off my very limited artistic talent. 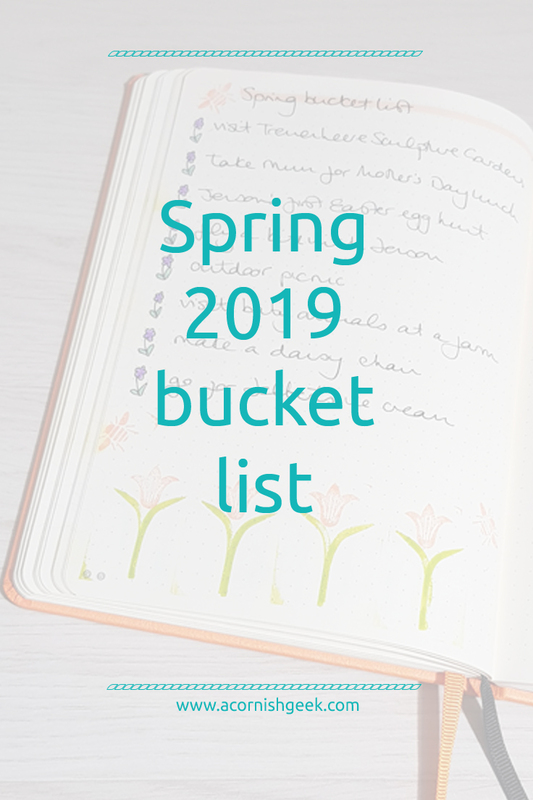 But when it came to writing my spring bucket list, I knew I wanted to do something a bit different. 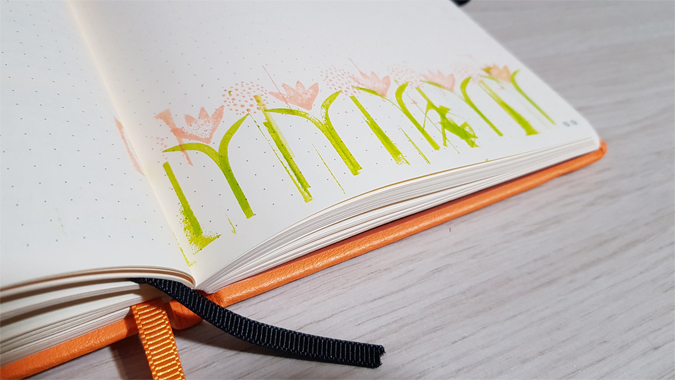 At first I thought I’d do a nice header and finally opened up my Calligraphy Journal, only to grow frustrated with my impatience. I really need to sit down and work my way through this properly rather than have a crack at something right away and want to give up instantly. 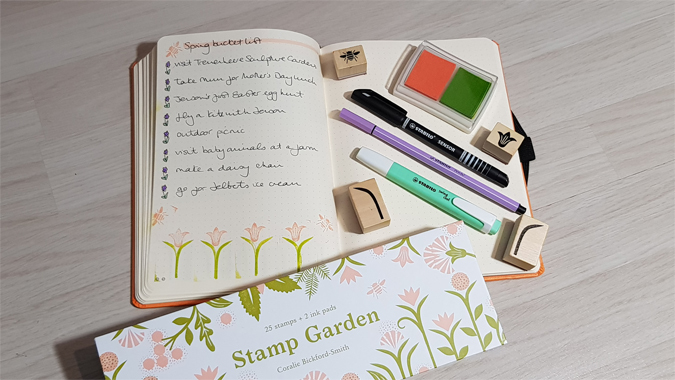 Then I remembered my Stamp Garden set! 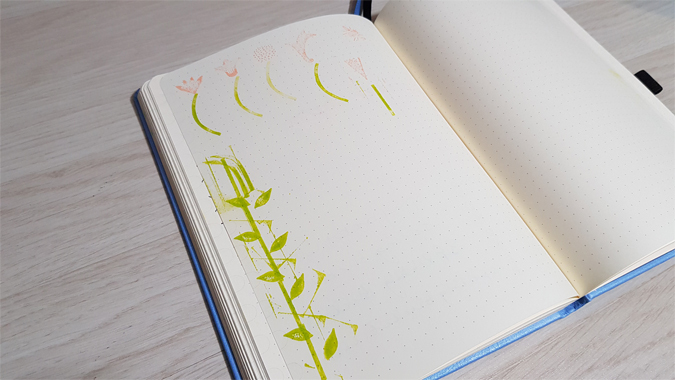 It had been a while since I last used it, so I used the last few pages of my 2018 bujo to reacquaint myself with how to align the different patterns. 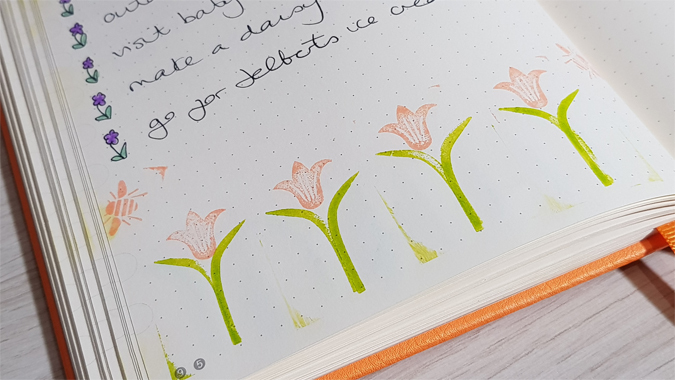 Ink residue was a problem – until I learned to wipe down the sides before committing to page. Top tip right there! I love these stamps and keep hoping Coralie Bickford-Smith will design more. I tarted the page up a wee bit with my old faithfuls – the Stabilo Swing Cool highlighters and Pen 88s. Cute little illustrative bullet points make all the difference and take little effort. 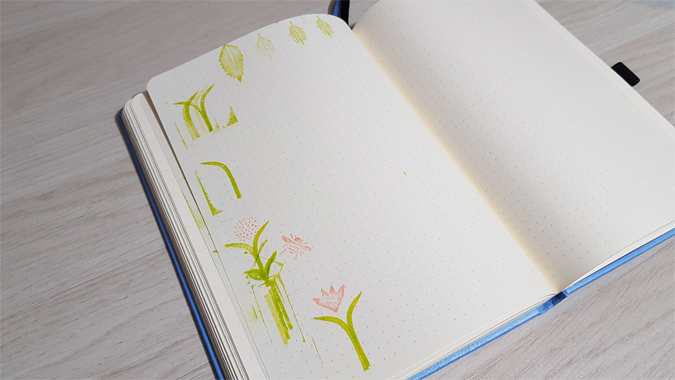 Are you a fellow artistically-challenged bullet journaller? 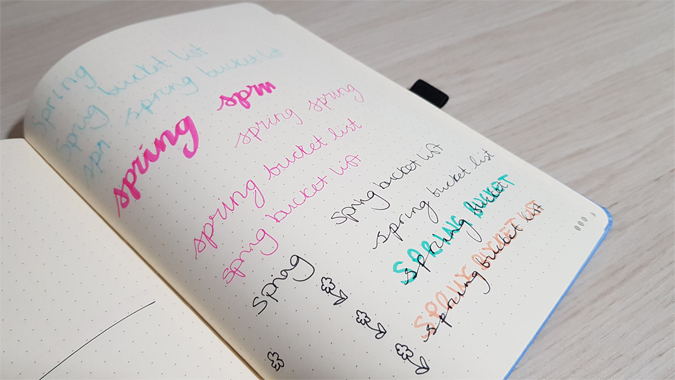 What do you use to keep your pages colourful yet minimal? 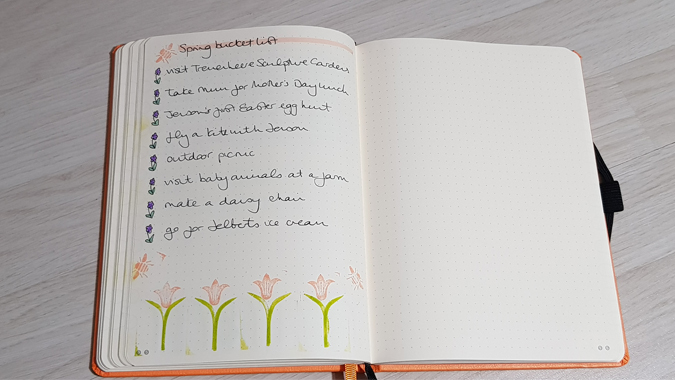 I enjoyed this, even though I’m the most maximalist bullet journaller you could imagine!